PLEASE CONTACT AUSTRALIAN ACCESS HIRE ON 1300 850 488 AND LET THEM KNOW YOU FOUND THIER EQUIPMENT VIA TOOLMATES HIRE. THEY'LL ALSO TALK THROUGH AVAILABILITY, INSURANCES, COSTS ETC. Electric Vertical Lift Hire Sydney Australia. Sometimes the type of access you need to get a job done is of a smaller scale. That’s when you need to hire one of Australian Access Hire’s industrial vertical lifts, giving you the perfect way to reach most indoor and small scale outdoor areas in a compact and easily manoeuvred package. Australian Access Hire also provides quality forklifts for rent to ensure you have the right equipment for the job. 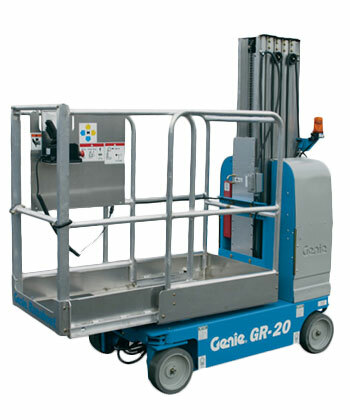 Explore more information, specifications and features on the different industrial vertical lift hire we have on offer. Click the model number below or get a quote on one of our lifts for hire. Australian Access Hire is your number one place in Sydney to get industrial lift hire for your company or work site. AAH has its own fleets of trucks with the capability to service its clients. As an EWPA member, we can meet your training requirements and help your business reach new heights.